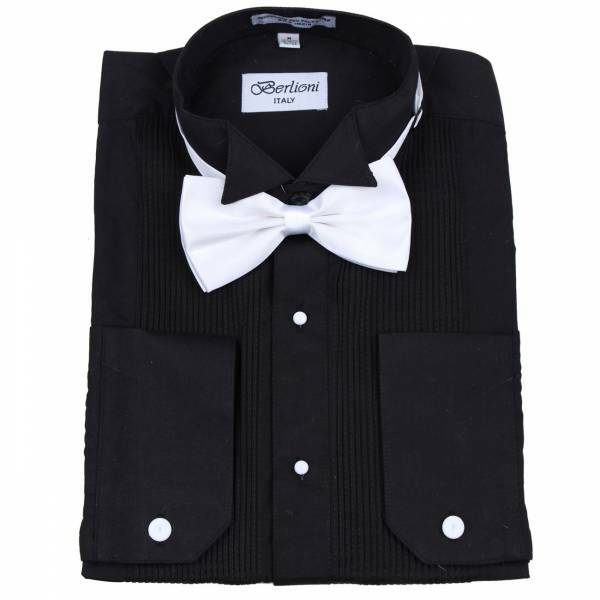 This Tuxedo Shirt is perfect for any formal occasion. This short has wingtip collar. Comes with PRE-TIED White bowtie.